To embrace New York Fashion Week’s move to the neighborhood, the newly renovated Trump International Hotel & Tower® New York at One Central Park West – along with its chic new sister property Downtown, Trump SoHo™ New York – is offering the “Welcome, Fashion Week” package, which include a pair of highly sought-after fashion show tickets. See Ivanka Trump Fine Jewelry on the runway with the “Welcome, Fashion Week – Carlos Miele” package. Available for a two-night stay Sept. 12-14 only, the package includes a pair of tickets to the Carlos Miele fashion show on Sept. 13, a welcome amenity of Champagne for a toast to couture, and a $500 gift card at Ivanka Trump Fine Jewelry (applicable toward a minimum purchase of $1,500). The package is priced from $2,499 at Trump International Hotel & Tower New York and from $2,049 at Trump SoHo New York. The “Welcome, Fashion Week – Nanette Lepore” package is available for a two-night stay at Trump SoHo Sept. 14-16 only. This package includes a pair of tickets to the Nanette Lepore fashion show on Sept. 15, Champagne welcome amenity, and a $500 gift card at Ivanka Trump Fine Jewelry (applicable toward a minimum purchase of $1,500). 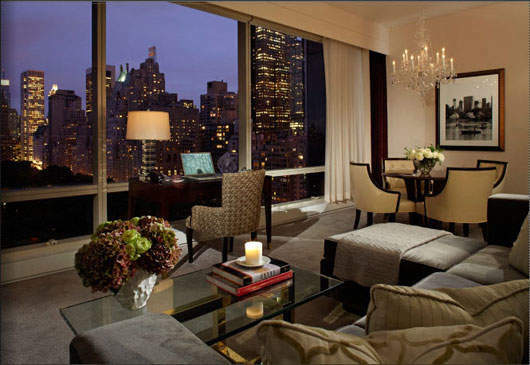 The package is priced from $2,049 at Trump SoHo New York only. Both hotels are fêting New York fashion throughout the month of September with the “Fashion Week Glitters” promotion. Any guest staying three or more consecutive nights during the month of September will receive a voucher to collect an Ivanka Trump Fine Jewelry gift card for $500 (applicable toward a minimum purchase of $1,500) at the Ivanka Trump Fine Jewelry boutique at 685 Madison Ave. between 61st and 62nd Sts.